Fully Booked Cebu in Ayala Center Cebu The Terraces will Celebrate its 3rd Anniversary on December 17, 2011. Fully Booked Cebu is excited to let lucky Cebuanos the once-in-a-lifetime opportunity to grab as many books as they can - for FREE! 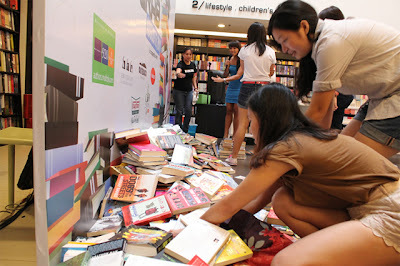 The Fully Booked Book Grab is an exciting event where contestants rush to take as many books as they can under a time limit. As the timer stops, Book Grab contestants get to take home the books they’ve checked out, along with prizes from co-sponsors. Fun and games will be held during the event for the Spectators. Lucky audience members will also get the chance to join the Book Grab. Don’t miss this rare chance to take home all the books you can grab! 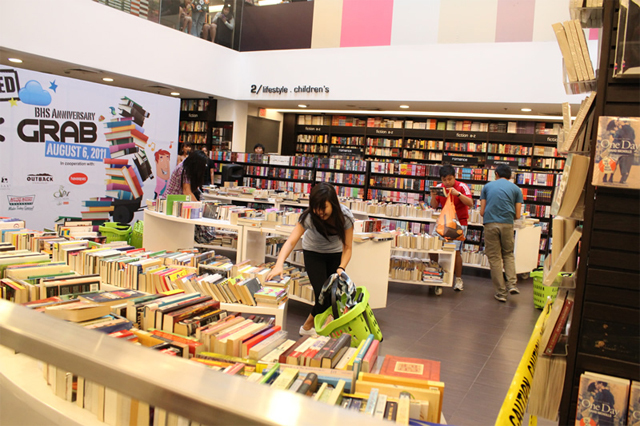 Drop it off at the Fully Booked Cebu branch before closing time on December 2, 2011. Fully Booked will draw five (5) lucky entries at the Fully Booked Cebu store and notify the chosen winners via registered mail, email or phone call. The Fully Booked Book Grab happens on December 17, 2011 from 4:00PM to 5:30PM at the Ayala Center Cebu Activity Center. Fully Booked Cebu is also celebrating its 3rd anniversary with the launch of its new publishing endeavor: Unscripted written by Philippine Daily Inquirer columnists Sarah Meier-Albano and Vicky Herrera. The book launch will take place at 6:30 p.m. on December 17, 2011 at Fully Booked Cebu, and is open to the public. Book overview, Unscripted is a compilation of the spontaneous, witty, and thought-provoking conversations that took place during the now-defunct radio show The Dollhouse, which both authors hosted for U92. Some of the notable personalities featured in the book include: Gang Badoy of RockEd, Musician and host Raimund Marasigan, and former first lady Imelda Marcos. 0 comments: on "Fully Booked Cebu Book Grab, Book launching on its 3rd Anniversary"